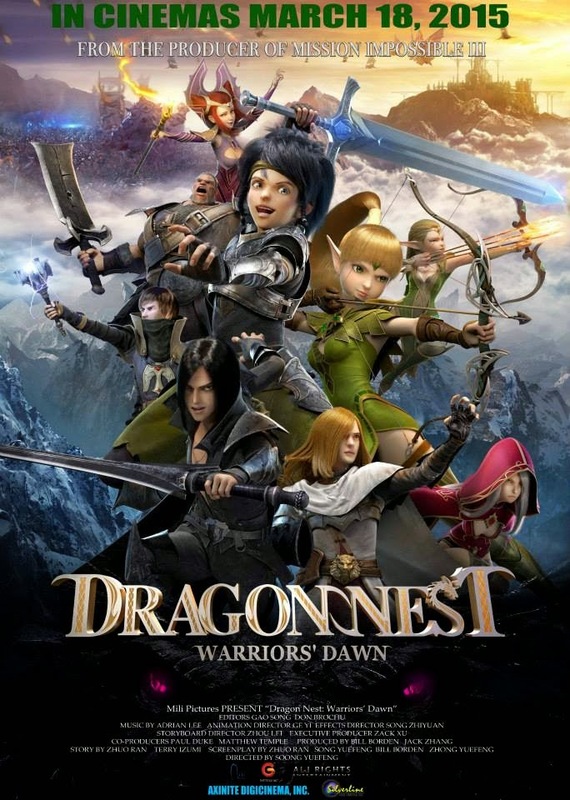 The long wait is over, the English version of the worldwide online game phenomenon “Dragon Nest” is about to be experienced in the upcoming first of a trilogy of animation in “Dragon Nest: Warrior’s Dawn” this March 18. “Dragon Nest: Warrior’s Dawn” is from Mili Pictures, the first major animated feature from China aimed at world audiences and marks a breakthrough for the Chinese animation industry and will entertain audiences all over the world at the same time that it opens a door for more Chinese animated features soon to come. The picture garnered rave reviews during its Chinese release in July 2014 and established Mili as the leading player in Chinese animation. A thrilling adventure story in the style of “Lord of the Rings”, “Dragon Nest” spins the tale of the young teen Lambert, who joins a group of experienced dragon fighters to face the fearsome Black Dragon, which is menacing the land of Altera. Humans and Elves must overcome mutual distrust to battle the dragon and its huge force of frightening beasts. In the land of Altera, Humans and Elves, who have battled in decades past, maintain an uneasy peace, living in their separate territories. The mysterious and traitorous elf, Elena, tells of the Black Dragon, which is in hibernation in the Dark Mountains and beginning to stir; the beast forces – a huge army of fearsome beasts, loyal to the Black Dragon – are attacking human territories. The Elf Princess Nerwin and her able guard Liya head for the human capital of Saint’s Haven, hoping to convince the human King to ally with the elves to fight the dragon and its armies. Meanwhile, outside the human village of Carderock, the young boy Lambert encounters a phalanx of attacking beasts. He manages to warn his village of the coming attack, but escapes a group of attacking beasts only because he is saved at the last moment by the mercenary Varnak. Varnak pulls Lambert up to his flying ship – in Altera “sailing” ships are able to fly in the air – where Lambert meets Varnak’s fellow fighters, Gerrant and his sister Argenta. They take him to Saint’s Haven, where the King is skeptical of the need to risk his forces to fight the beasts. While based on the online game “Dragon Nest” – with 100 million registered users in China and fanatical fans all over the world – the movie also represents a new era in Chinese filmmaking. Mili has the specific goal of reaching worldwide audiences with movies that display the dazzling talent of Chinese artists, but which tell stories that are fully international in subject matter. 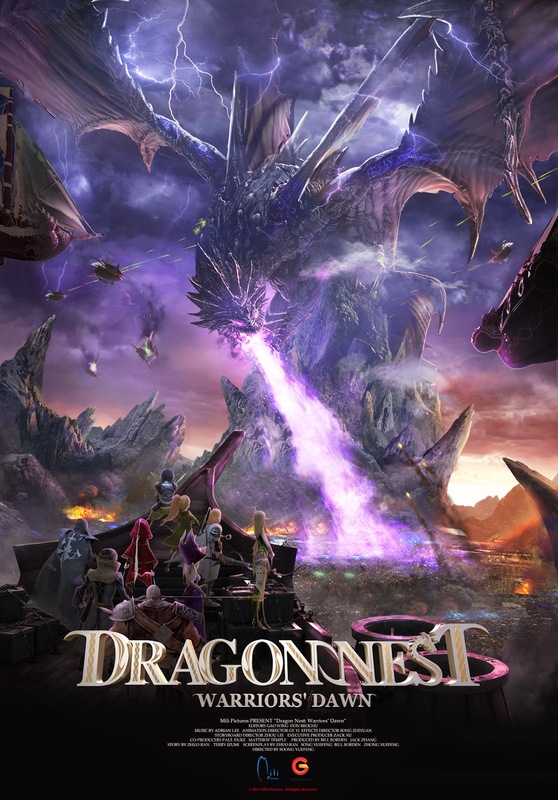 The Chinese and English versions of “Dragon Nest” were thus planned and made simultaneously, and the worldwide release shortly follows the Chinese release. And now, soon in Philippine theaters from Axinite Digicinema, “Dragon Nest: Warrior’s Dawn” will open nationwide on March 18 (in 3D and 2D).